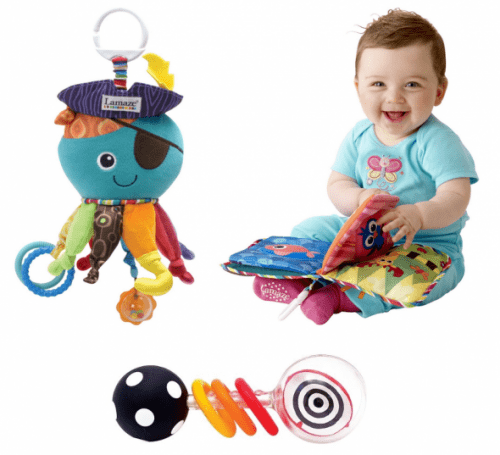 The Lamaze Captain Calamari Early Development Toy is on sale for $10.26 at Amazon right now. That's 40% off the list price of $16.99! The Lamaze Classic Discovery Book is on sale right now for $9.12. That's 35% off the list price of $13.99! The Sassy Spin Shine Rattle Developmental Toy is on sale right now for $3.99. That's 33% off the list price of $5.99!